It’s not just the holiday shopping season that starts earlier every year; the battle for the holiday beverage market has been steadily creeping toward the beginning of November. Earlier this week, Dunkin’ Donuts released two new caffeinated drinks to get you amped up for the shopping season. 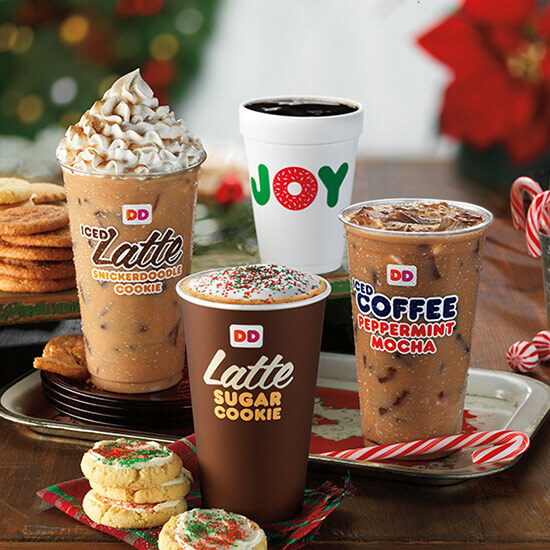 Taking inspiration from Christmas cookies, Dunkin’ has started selling snickerdoodle and sugar cookie lattes. Left in the dust is the biggest name in the latte market, Starbucks, whose new chestnut praline latte doesn’t drop until November 12. According to Bloomberg, it’s Starbucks’ first new holiday beverage in five years and has been three years in the making—so anticipation is as high as this country’s collective holiday sugar rush. The stakes are high, too. In 2013, Dunkin’ Donuts got 27 percent of its US revenue in the last three months of the year. Starbucks, by comparison, saw a 12 percent sales bump during the same holiday period. Turns out those Christmas bonuses don’t pay for themselves! We’ll have to wait and see which latte will capture our collective heart and mind, but if either takes off and turns into another pumpkin spice–level craze we might start seeing Christmas lattes in July.